It's the showdown that everyone in their right mind has been waiting for: Kanye West vs. the legend, the icon, the one person least likely to tolerate his shenanigans, Anna Wintour. Kanye feels that, much like her father, little North West is too good to be associated with every day celebrities. While avoiding paparazzi like the plague, KimYe has made an executive decision that Vogue is the only suitable place for their baby to make her public debut. 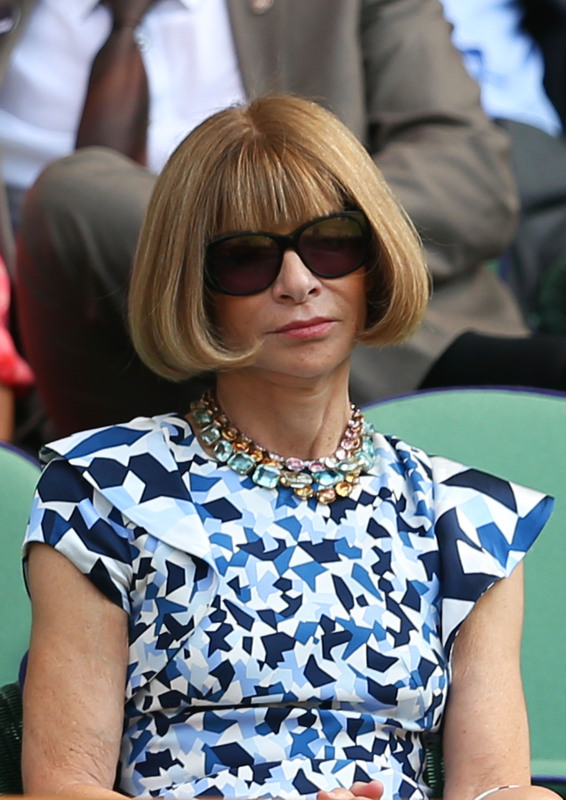 Sadly for them, Anna Wintour has probably never cared less about anything. Anna's beef most likely is not with baby North, but with her mom: the fashion editor reportedly banned Kris Jenner and all of The Real Housewives of New York City from the Met Gala back in May, answering Jenner's plea to attend with a succinct, "One Kardashian is enough!" Her ire toward reality television stars can be added to a list of similar feelings towards models who wear Timberlands, Rihanna and Lady Gaga's relationship with God. We hear that Kanye arranged a nice little powerpoint of "evidence" that reality stars sell magazines (because, really, if anyone needs an education in magazine publishing, it's Anna Wintour), but we think it's safe to assume that only further secures his child's permanent disapproval from the most powerful figure in the fashion industry.